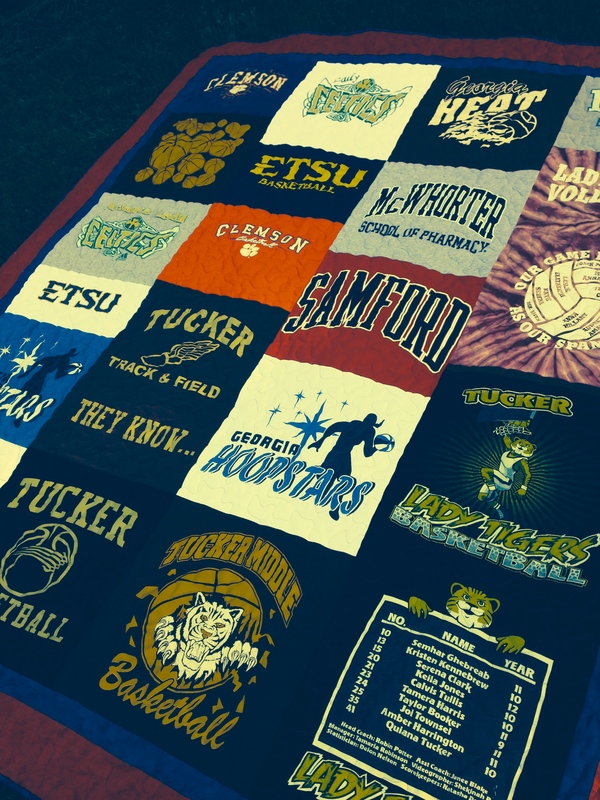 When you have a star athlete with a gazillion jerseys and a boatload of club shirts,consider putting them all together on a quilt! 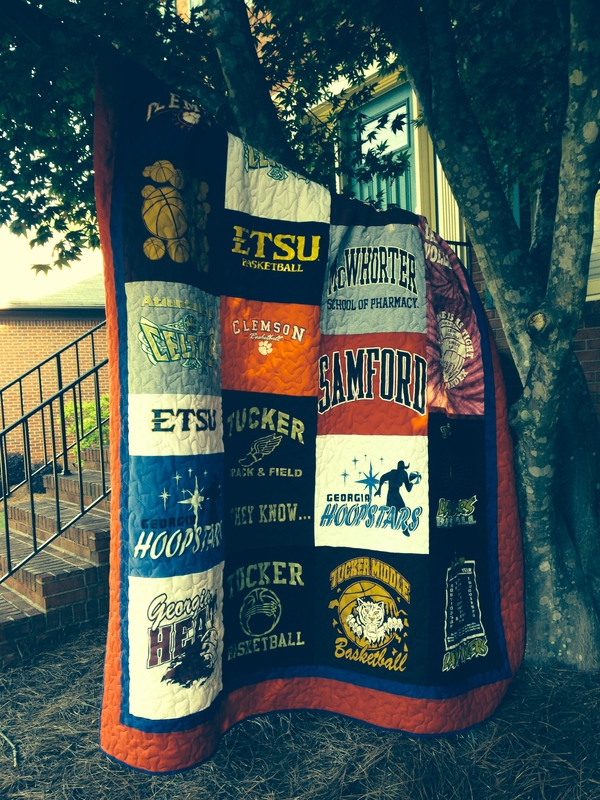 It’s a great way to recycle the clothes and also create a quilt full of memories. 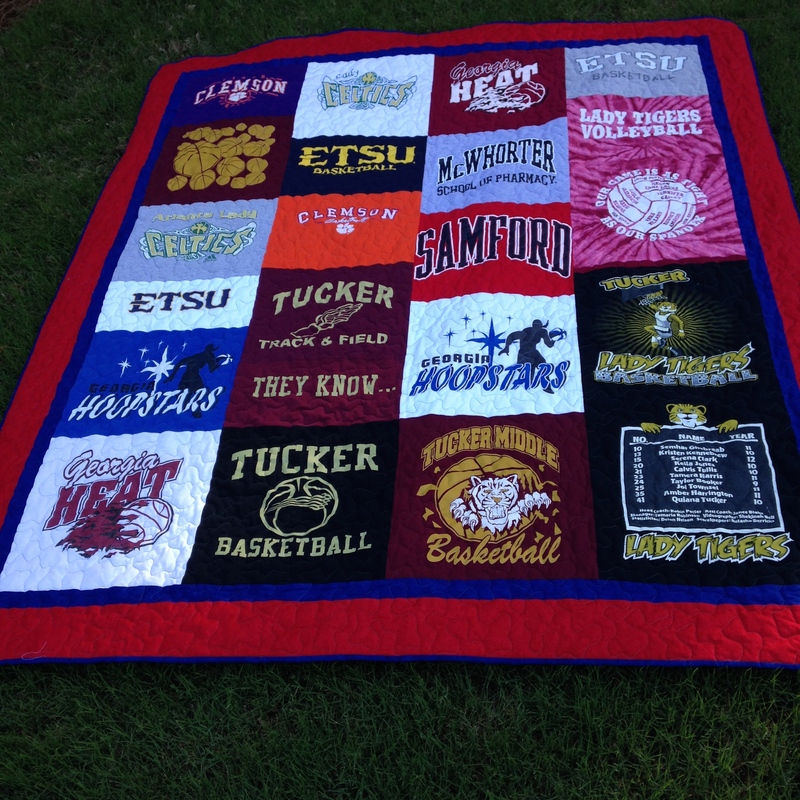 This particular quilt is for a star athlete from our home town of Tucker, Georgia! I love that her mother surprised her with this incredibly thoughtful gift! Serena will be starting McWhorter Pharmacy School at Samford this fall. I am very proud of Serena’s hard work and dedication to sports AND education! Go Serena! Go Tigers!